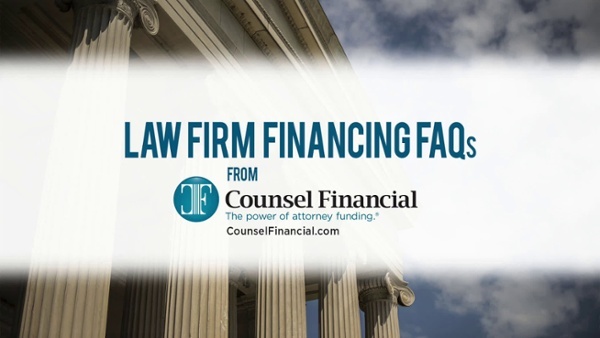 Financing your law firm is not the same as financing a new home, car or other large purchase. Nor is it the same as obtaining a tradition business loan. You have many funding options for your law practice, but they can vary drastically in how they are structured. FAQ: What is a specialty commercial lender? Answer: A specialty commercial lender is a company that is not classified as a traditional banking institution, but provides loans to specific businesses, like law firms. 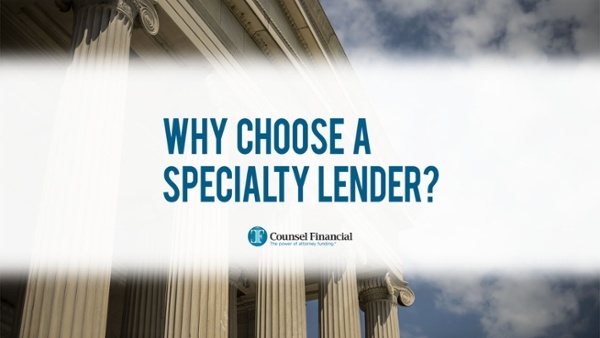 Oftentimes, the collateral required to get funding from a specialty lender can be different than a bank would require and the underwriting criteria can differ greatly from one vendor to the next. For example, law firm financing companies typically require the borrower to pledge its current and future legal fees as collateral. Generally with commercial lenders, financing is secured by a UCC-1 filing against the collateral which, simply put, means they get an interest in certain property and other assets of your firm to secure repayment. Filing a UCC for first priority position is especially common in situations where the loan extended is based upon non-traditional collateral, such as your attorney’s fees. FAQ: What are benefits of using a specialty commercial lender over a traditional bank? More borrowing power—typically, a commercial lender can offer two to three times more capital than a bank because banks generally only consider your firm’s hard assets (ie. real estate, owner’s personal assets, etc.) as collateral. By valuing your portfolio of contingent-fee cases, a specialty lender will unlock the value of your future fees. In doing so, your ability to borrow is significantly enhanced and it means you are able to leverage your firm’s most valuable asset. More flexible terms—a specialty lender that understands your business model, a contingent-fee practice, is able to offer you more flexibility in your financing. Traditional banks do not fully understand the inner-workings of a plaintiffs’ practice and therefore do not have the knowledge to be able to tailor financing to your firm’s specific needs. Proprietary tracking software—in some cases, a specialty lender may offer fringe benefits that a traditional lending institution would not, such as access to proprietary software to help you better track and manage your caseload. Not only does this assist your firm in better managing your portfolio, it also helps you maximize the amount of capital available to you by clearly mapping out your cases, and in turn, your expected fees. 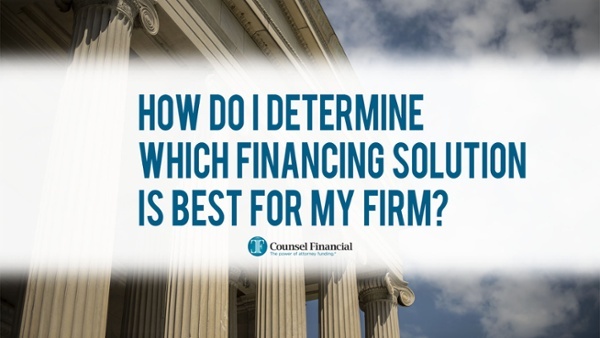 FAQ: How do I determine which financing solution is best for my firm? Answer: A good place to start is to take a step back and look at your firm’s business model. Plaintiffs’ practices are diverse, so it’s wise to seek financing that is custom-made for you, rather than select a one-size-fits-all solution, such as a traditional bank loan. There exists financing that can be fitted to the unique cash flow needs that arise in your practice. Starting down the road to law firm financing may seem daunting. But, by beginning to understand the basics, you can determine the appropriate path to take and research your options more thoroughly from there.